Following a dairy-free lifestyle is becoming increasingly popular. Although low-carb dairy products provide health benefits and can be included on keto diets, some people do best with minimal dairy, and others must avoid it altogether. 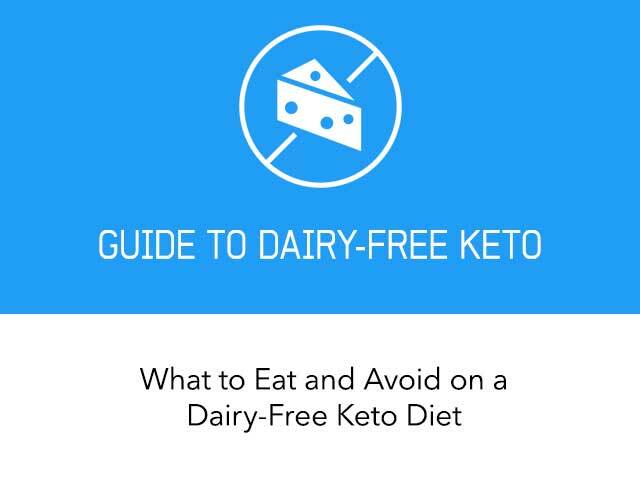 Read on to learn why going dairy-free makes sense in certain cases, and check out our guide to living a healthy, dairy-free ketogenic lifestyle that includes a dairy-free keto food pyramid and easy-to-follow diet plan. About 3% of people (mainly children) are allergic one or more of the proteins in dairy, most commonly casein. After consuming dairy, their immune system reacts to the protein(s) by producing antibodies that cause the release of histamine. Dairy allergies typically develop in early childhood and often disappear by adulthood. However, some people remain allergic to dairy products throughout their lifetime, and in rare cases a dairy allergy may develop in adulthood. Symptoms of dairy allergies include rash, hives, swollen lips, digestive distress, and in severe cases, anaphylactic shock. Obviously, people with dairy protein allergies must avoid dairy altogether. Unlike allergies to dairy protein, lactose intolerance is the inability to properly digest and absorb lactose, the sugar found in dairy. People with lactose intolerance don&apos;t produce the enzyme lactase, which breaks lactose into smaller sugar units that can be absorbed. Without lactase, lactose passes into the colon, where it typically causes bloating, gas, pain, and diarrhea within minutes to an hour after consumption. Lactose intolerance is quite common, especially in certain ethnicities. In fact, it&apos;s estimated that about 65-70% of people worldwide don&apos;t produce lactase after early childhood (1, 2). Native Americans and people of African, Asian, or Hispanic descent are usually lactose intolerant in adulthood, whereas most Northern European populations continue producing lactase throughout their lives if they continue consuming milk. Some individuals with lactose intolerance may be able to eat cheese and yogurt because most of the lactose has been fermented into lactic acid. However, others may experience symptoms when exposed to even tiny amounts of lactose. Although controversial, some research suggests that dairy may trigger type 1 diabetes in those with a genetic predisposition to develop it (3). People with type 1 diabetes produce antibodies that can gradually destroy their pancreatic beta cells, which produce insulin. Individuals whose parents or siblings have type 1 are at increased risk for the disease if they have certain genetic markers. Interestingly, bovine (cow) insulin and A-1 casein have both been implicated as potential substances that may trigger type 1 diabetes (4, 5). 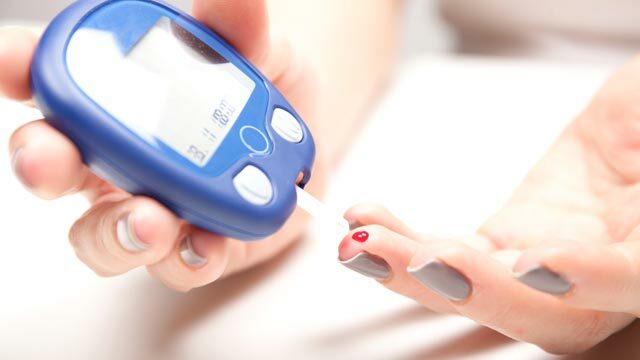 However, a recent study of more than 2,000 infants at high risk for type 1 found that those who received casein-free formula were just as likely to develop diabetes as those who consumed conventional milk-based formula (6). Additionally, although it hasn&apos;t been studied much, if at all, some people with type 1 diabetes have reported that they achieve much better blood sugar control on a dairy-free or near-dairy-free diet. Research on dairy and cancer is mixed. Some studies suggest that dairy fats may potentially provide anti-cancer protection (7). 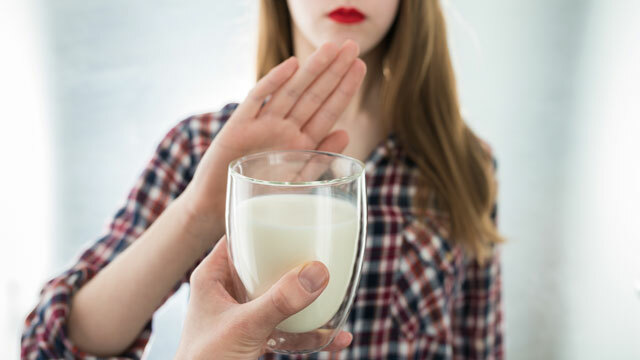 Based on the most recent evidence, consumption of dairy is associated with lower risk of developing breast, colon, bladder, or stomach cancer (8, 9). However, in women who already have hormone-sensitive breast cancer, dairy may actually lead to worse outcomes due to the estrogen present in milk (10). Similarly, men with prostate cancer who frequently consume large amounts of dairy may experience a more rapid disease progression compared to those who avoid dairy or consume it less often (11). Most weight loss studies have found that low-carb dairy seems to have neutral or positive effects on weight, and many people who include it on a keto diet experience good results. However, there are also plenty of reports from people who were able to achieve their weight loss goals only after removing dairy from their diet. Cheese is notorious for being easy to overeat because of its delicious taste. And although most cheese is low in carbs, it is also high in calories. Dairy may increase your susceptibility to acne breakouts or exacerbate existing acne, although this seems to vary from person to person. Dairy whey has been shown to increase insulin and insulin-like growth factor, both of which have been implicated in acne (12). Additional reasons for going dairy free include troubleshooting digestive issues, rashes, or other skin problems. Finally, you may just want to see if you feel better without dairy in your diet. For a complete overview of the pros and cons of dairy consumption and how it fits into the ketogenic lifestyle, have a look at the article I wrote about Dairy on a Ketogenic Diet. The recommended daily allowance for calcium (RDA) is 1,000 mg for men up to 70 years of age and for women up to 50 years of age. The RDA for men over 71 and for women over 51 is 1,200 mg. There are many dairy-free alternatives available for purchase, as well as recipes to make at home. Admittedly, the flavor won&apos;t be identical to your favorite dairy products; however, they are all tasty, healthy options that you&apos;ll quickly learn to love. Note: Ghee is clarified butter, which has had casein and lactose removed. Although most people can tolerate ghee, some people need to avoid it altogether. In addition to checking for dairy ingredients, make sure any items you purchase don&apos;t have added carbs. For instance, almond and other non-dairy milks often contain syrup or other sweeteners. Some also contain additional ingredients, such as rice milk, soy milk and thickeners. Fortunately, there are many unsweetened types available as well. You can find even more dairy-free keto snacks and appetizers here (use the filtering options to find recipes that suit your preferences). Here&apos;s our Dairy-Free Keto Food Pyramid to help you make the right choices. Feel free to pin, share and print it! To help you follow a balanced dairy-free keto diet, there are hundreds of dairy-free keto recipes on the KetoDiet Blog and even more in the Keto Diet App. 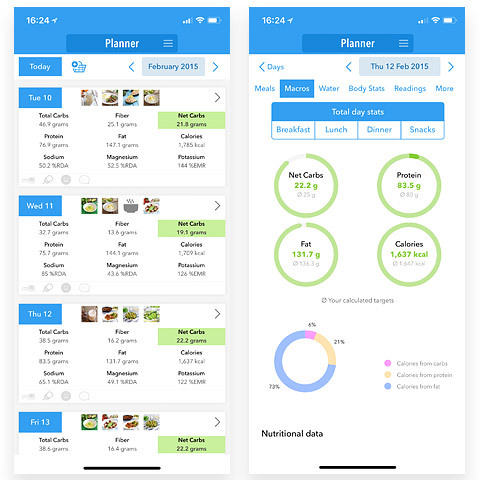 Whether you are new to a low-carb diet or want to track what you are eating for optimal weight loss, the Keto Diet App will help you track your macronutrients. It has been designed specifically for low-carb diets and will help you keep your carb intake low and your protein intake moderate. Simply choose from 300 recipes found in the KetoDiet Meals section, and over 700 recipes shared via our KetoDiet Blog and add them to the Planner. 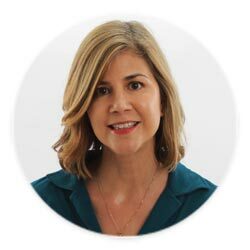 We realize that no one diet plan fits everyone, so we&apos;ve made it easy to copy and modify any of the meals shared via the KetoDiet blog. To make shopping for ingredients easy, use the Basket and print or export your shopping list for instant access.